Woolworths joined forces with chef and campaigner Jamie Oliver to create a tasty brand experience. The chef and fresh food campaigner recreated his latest mouth-watering ‘Cook & Save’ dish - Pan-Cooked Giant Prawns with Snow Peas and Butter Beans - in front of an excited audience. 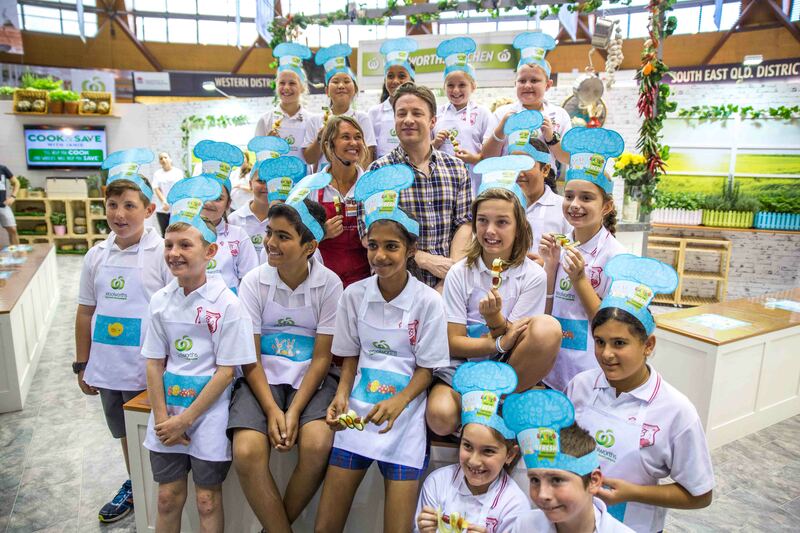 The visit from Woolworths ambassador Jamie Oliver marks the brand’s 15th year as primary sponsor of the Woolworths Fresh Food Dome at the Sydney Royal Easter Show. Oliver, a long term advocate of inspiring the next generation to cook healthy meals, got involved with one of the children’s’ activities at the Showcase by showing budding chefs how to prepare a healthy fruit snake. Produced by Because Australia for the second year running, the centrepiece of the dome was the Woolworths Fresh Food Showcase. The Showcase heroes the retailers – the ‘Fresh Food People’ - by giving visitors the chance to try the best and freshest Aussie produce, orchestrating live cooking demonstrations from Jamie’s Ministry of Food and offering opportunities to meet and learn about Woolworths growers and produce. 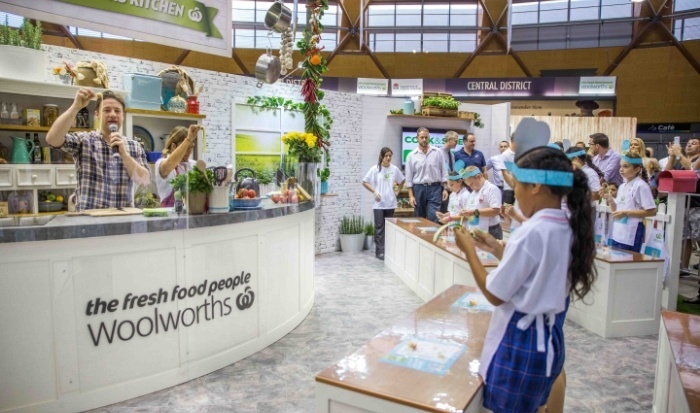 The Woolworths Fresh Food Showcase was open from 9:30am to 8:30pm from the 26th of March until the 8th of April at Sydney Showground, Sydney Olympic Park. With 900,000 visitors over 14 days, 60 fresh food people working hard to put on a great display for customers, 70 “meet the grower” sessions, more than 40 Jamie Oliver’s Ministry of Food cooking demos, and over 50 vegetable snake activities for the children, the Fresh Food Showcase was - as ever - a highlight of the show. And we are thrilled to announced that our Fresh Food Showcase has won the Gold Ribbon for the Fresh Food Dome category of the Commercial Exhibitor Awards at the Sydney Royal Easter Show! “Once again, our Fresh Food Showcase at the Sydney Royal Easter Show has been amazing, made just that little bit extra special by a visit from Jamie himself. We've showcased the very best of our fresh food, our new-to-market products and our in-house brands Gold and Created with Jamie.